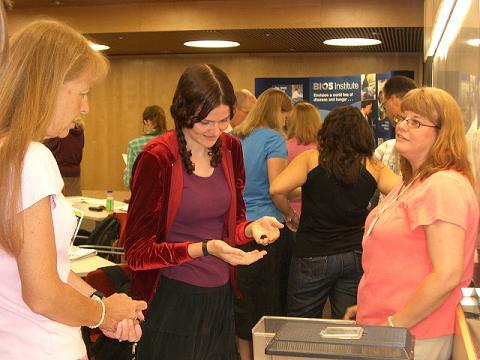 Graduate Fellow Michele Lanan and her teacher partners, Cindy Maize and Dorothy Wilson, check out specimens offered by the Insect Discovery program. 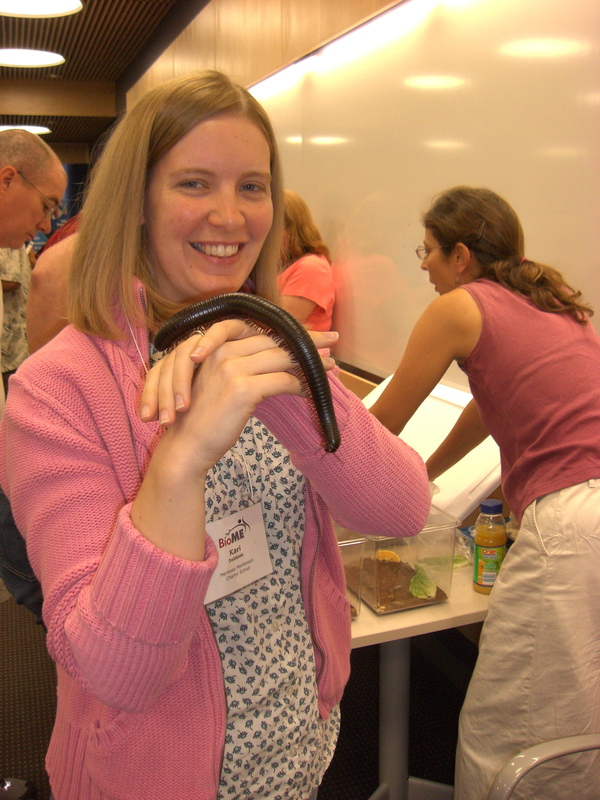 Middle school teacher Kari Debbink enjoys holding a giant millipede, one of the friendly arthropods featured in the Insect Discovery program. 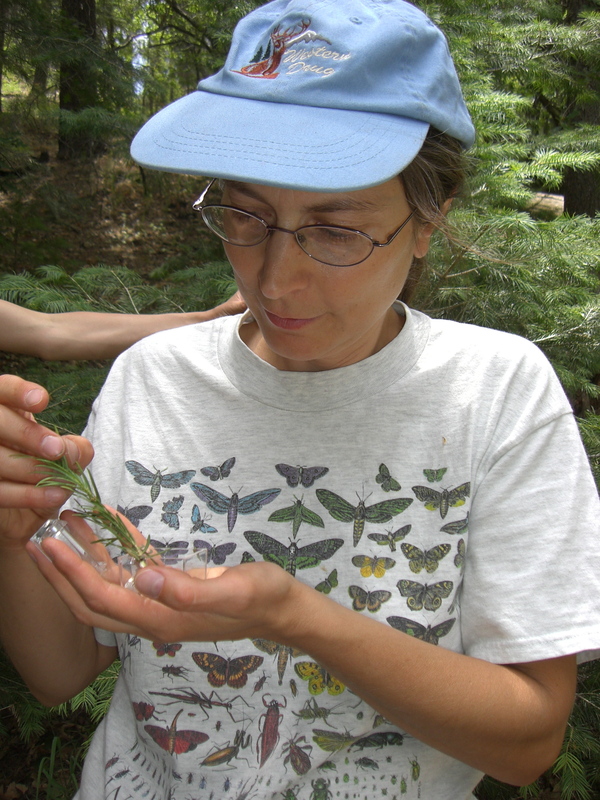 Program Coordinator Kathleen Walker examines small caterpillars found on a nearby shrub during the Mt. Lemmon field trip. 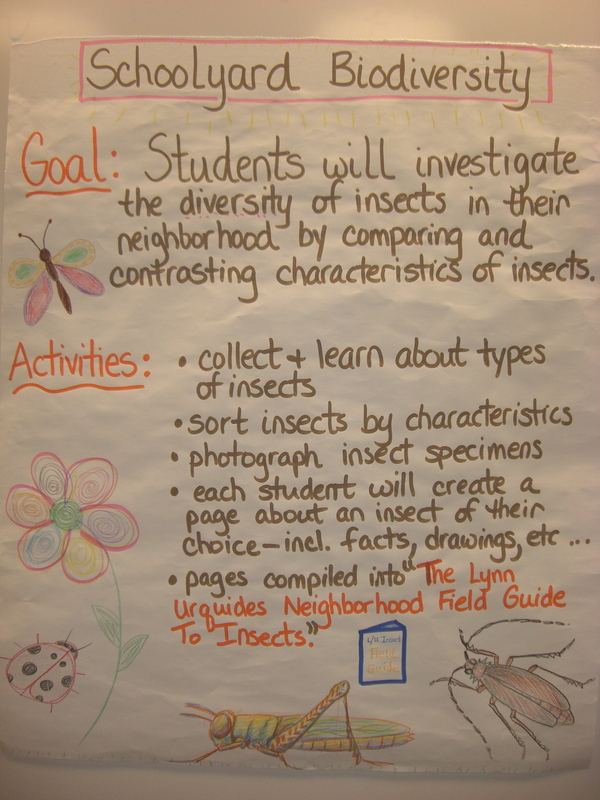 BioME teacher/fellow teams used a "Backward Design" framework to develop lesson plans for the coming year. 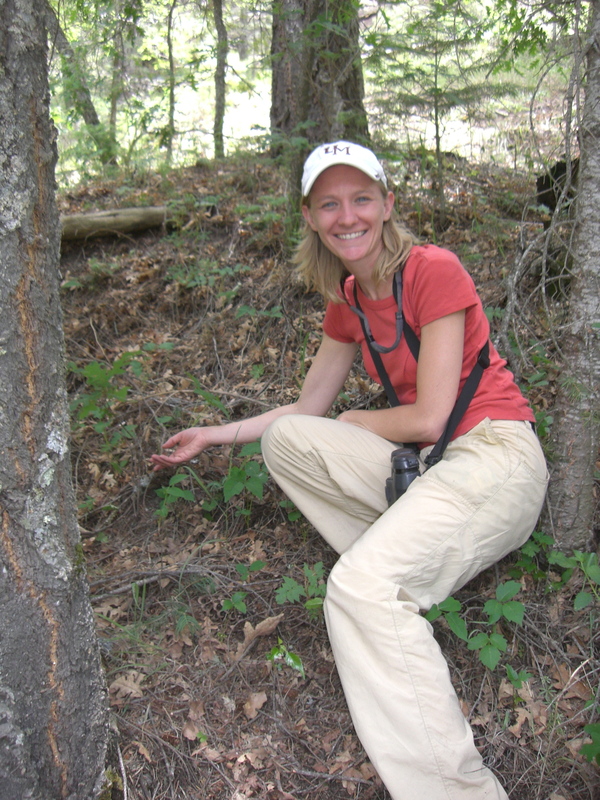 Middle school teacher Annie Simpson examines a tree core sample taken during the Mt. Lemmon field trip. 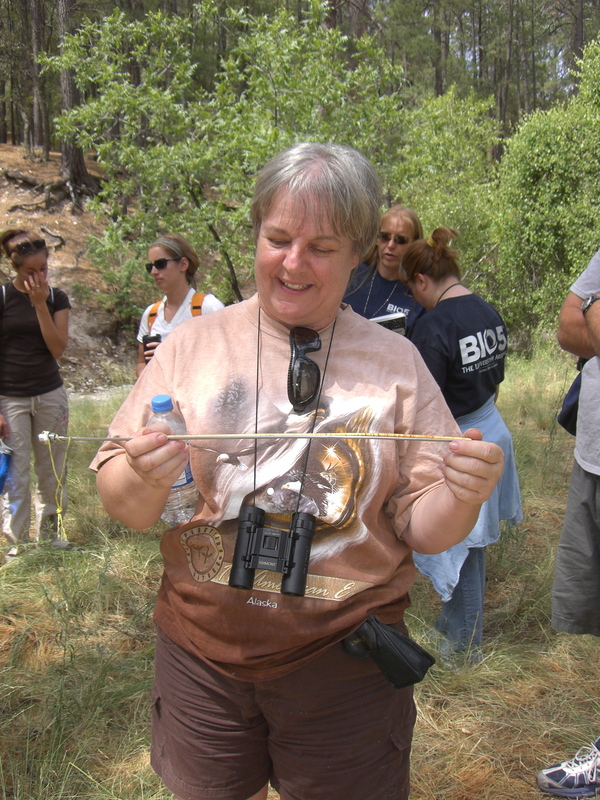 Graduate Fellow Karie Decker points to a bird nest while talking to the group about her research at her Mt. Lemmon field site.